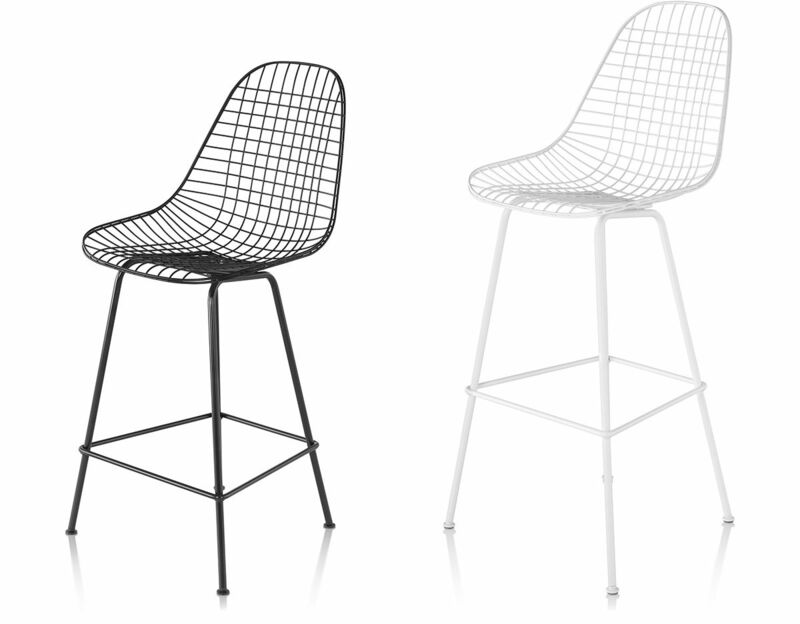 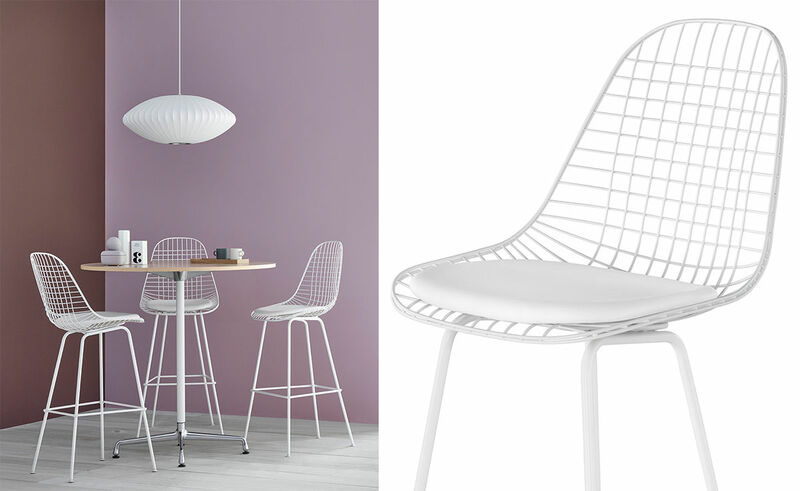 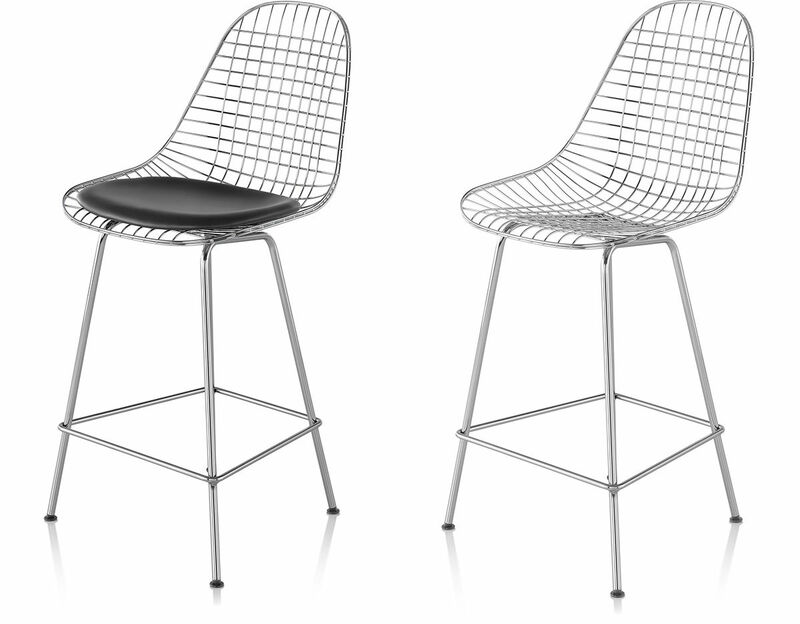 The Eames Wire Stool is an elegant, elevated iteration in the Shell Chair's continuous evolution. 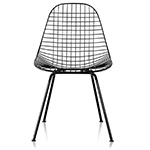 In the 1950s, the Eames Office started experimenting in bent and welded wire and developed a number of pieces, including the wire version of the single-shell form. 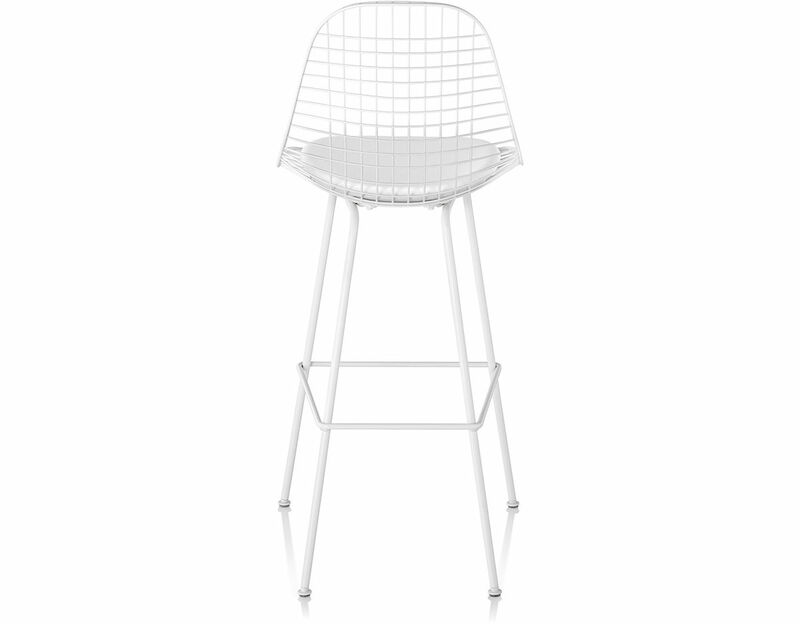 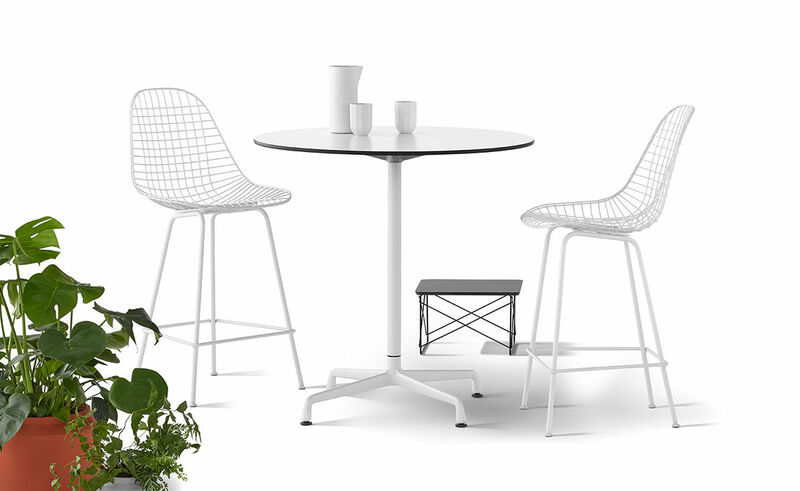 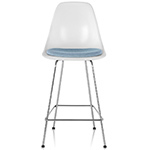 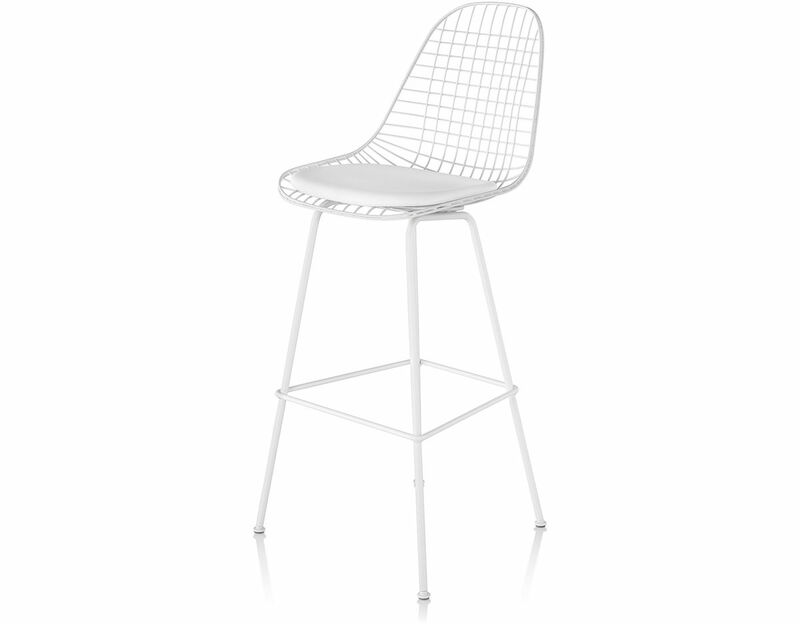 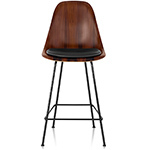 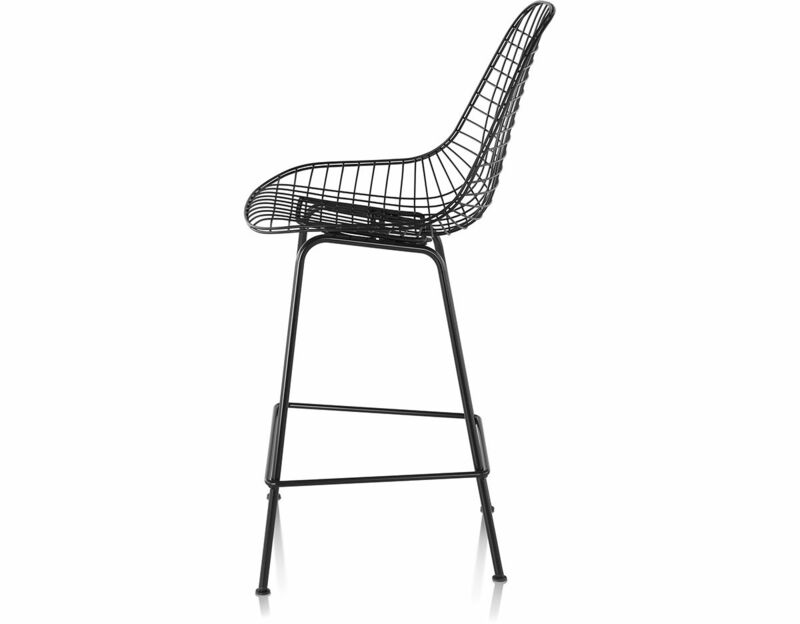 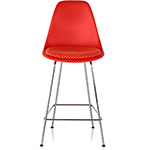 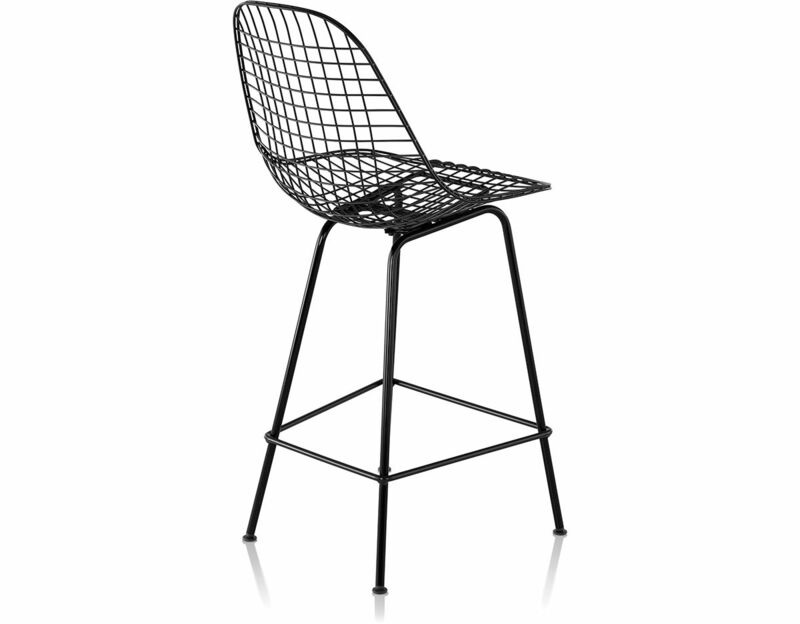 Set atop an elongated 4-leg base, the Eames Wire Stool brings the timeless Eames touch to bar and counter height surfaces. 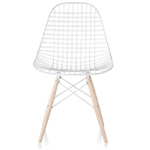 An optional seat pad adds some extra cushioning to the woven wire form of the Eames wire stool. 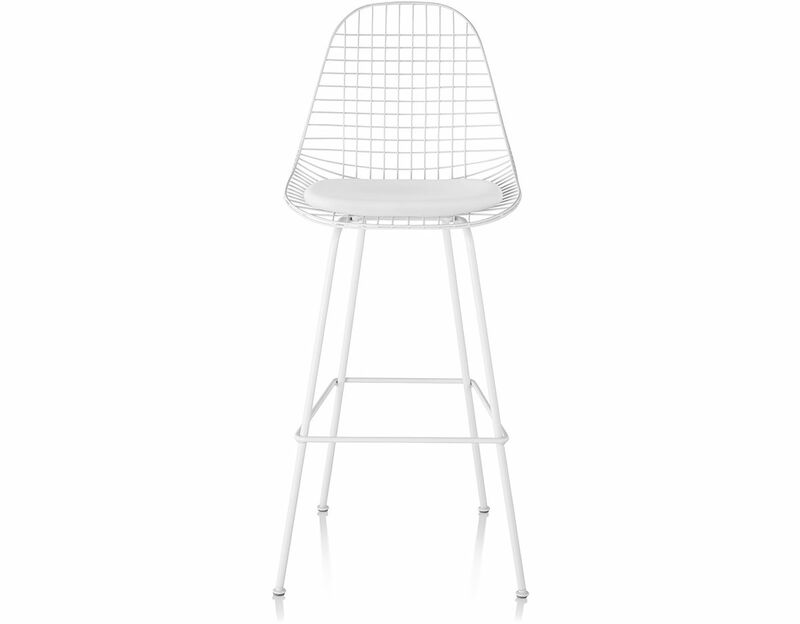 Available in a selection of textiles or leather coverings, the seat pad adds a layer of comfort to the iconic silhouette of the Eames Wire stool. 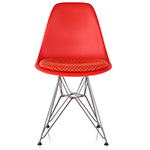 $1,010.00 + free threshold delivery in the continental U.S.